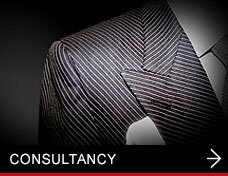 Deshok.com acquired their first, tangible enquire via Google this week. I ironically the project is for print and is currently being quoted for. This coincides with Deshok reaching Google page 2, under the search terms, "website design Bournemouth". 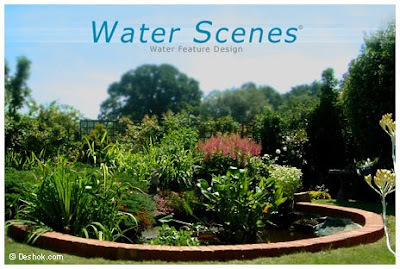 £18,000 worth of new work for Water Feature Designs. Info: In January 2009 Water Feature Design and Deshok got together to see, if with the clever use of SEO an increased profile of the site, with-in Google and the big 3 search engines could be obtained. 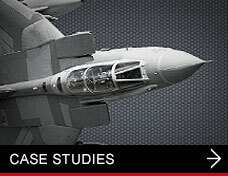 The newly re-structure website was launched, early February 09 and has already achieved more than was expected. To-date Water Feature Design has attracted over £18,000 worth of new work and are now, looking to take on new staff to cope with this new increase in demand. It is felt by the client, that this is as a direct result of this SEO work and they are planning a website re-design, in the summer, to better suit the more professional clients that they are attracting, nation wide. 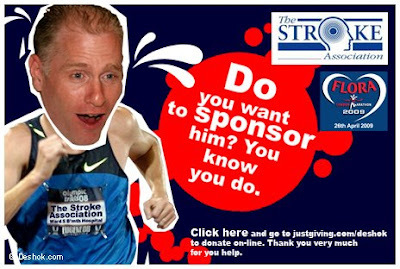 I am running the London Marathon this Sunday, the 26th. The training is done, the carbs are being loaded and I ma ready to go. A big thank you to all who have supported me, especially in the last couple of months and thanks to everybody for your sponsorship. The Stroke Association and Ward5 Bournemouth hospital are two good causes that need all the help you can give. Look out for me on telly, on Sunday morning. My number is: 48373 and I think I’m going to be the only one, dressed as a runner. 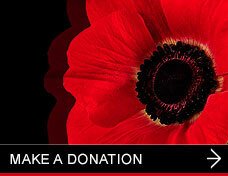 If you would like to make a donation, just click the link below. 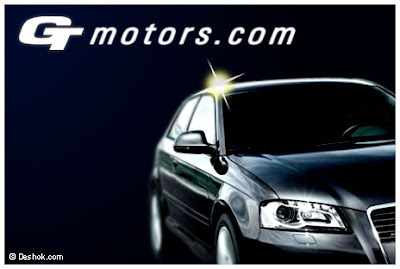 Info: After a long and expensive lunch : ) GT Motors finally agreed to commission Deshok.com, to design and implement the 3rd incarnation of their GT Motors.com website. I've wanted to run the London Marathon for a long time and now it has become something that I want to do, to achieve then tick it off my list. I’m not in for a race or competing, I just want to take part, run the whole thing with no walking and raise as much money as I can for my chosen charities. Ward 5 doesn't have a website, so I will have to tell you that I think they are an under funded and over looked and hard working ward, that looks after elderly and psychologically vulnerable patients. The way I like to look at both of these good-causes is that there is an outside chance that we might need their services one day. I know its not a very cool thing to think about but I see supporting them, almost like insurance, so get behind them and donate as much as you can. Remember, the goal is to raise £2500 so please do give generously and thank you for your support. Project: Clean, simple, easy to use portfolio site. Info: Over the last couple of months, Deshok.com has been developing and building the new Deshok client, portfolio website. It is a very simple presentation with one mission. To show off your website and Deshok projects, in the best possible way. 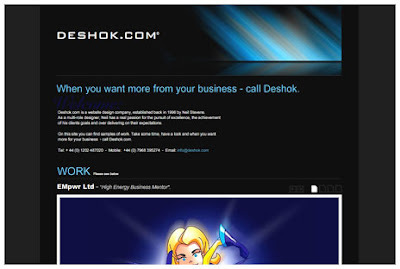 Deshok.com now enjoys over 300 page views everyday, from all over the world and is seeing that traffic goes to your sites, via perspectives clients, wanting to see samples of Deshok work. This information, been followed up on to give the Deshok visitor exactly what they want. Basically a big fat portfolio, right there on the home page. Easy to find, easy to navigate. The goal here is this, If we are going to beat this crunchy feeling and work our way out of this recession, working together and scratching backs is the way forward. 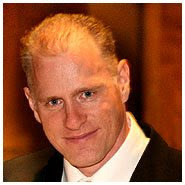 Simple put, anything Deshok can do to improve your traffic, is going to be beneficial to us all. 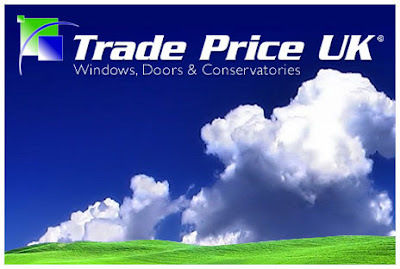 Info: Trade Price UK, is a very close professional and working partner of Glass Exchange and as such, was recommended to Deshok.com for a website make-over. The new website for Trade Price, will include project galleries, on-line quotation form and lots of information about the new services Trade Price will be able to offer. 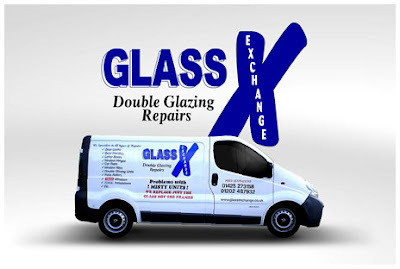 Info: Glass Exchange is an up-and-coming franchiser, based on the south coast, servicing the Double Glazing, maintenance needs of; businesses, public building, hospitals, landlords, and owner-occupiers. Glass Exchange has asked Deshok.com to design and implement a new dynamic and multimedia rich, internet presentation to promote the Glass Exchange franchise and services. 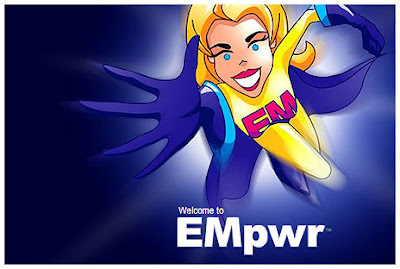 Emma Wimhurst, New home page. Info: Deshok.com designed the originally website for Emma wimhurst ,almost a year ago and since then, things have changed for Emma and also the direction of her company. Therefore, Emma has commissioned Deshok to product ideas, for a new home page and website that better suites her new course, of television work and public speaking. The new site will need to be; new content and feature rich with the option of being content managed. And also to help place Emma, along side other TV presenters and personalities.